Do you want to come on an adventure with us? Do you want the opportunity to share exciting challenges with other like-minded go-getting people? Would you like to be part of an organisation that thrives on inspiring and helping young people make the best of themselves? If that sounds like your kind of thing then you might be the ideal sort of leader for Woking Scouts! With 13 groups in the Woking area there is no shortage of fun to be had leading the Beavers, Cubs, Scouts, Explorers or the Scout Network across a wide array of activities. From helping a Scout gain their Adventure Activity Badge to abseiling, from Frost Camp to representing their local group in the local community during Remembrance Sunday, there are hundreds of activities and events where the Scouts could utilise your skills and experience to excite the next generation of adventurers! "My Scout Leaders took our group from doing barely anything, with nights just revolving around games, to getting out and doing some truly amazing things." "We are always looking at making the most of our Scouts' potential and there are some amazing individuals out there who we would welcome to come on this thrilling journey with us." 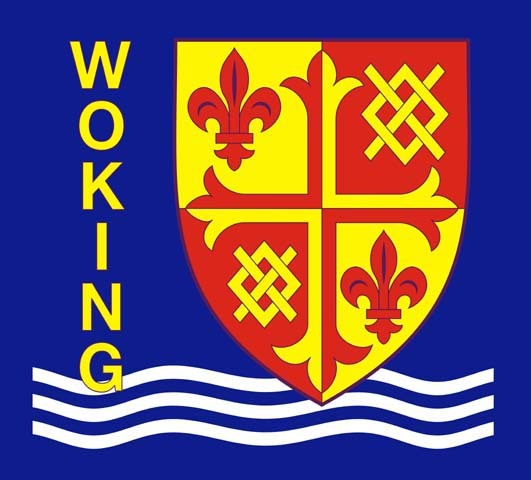 Woking Scout District is in the west of Surrey in South East England and is part of the national UK Scout Association. Woking Scouts is a really enthusiastic and active District with 13 Scout groups who all have access to Beaver Colonies (6 to 8 years), Cub Packs (8 to 10½), Scout Troops (10½ - 14 years), Explorer Scout Units (14 - 18 years) and a Scout Network (18-25 years). All sections are open to both boys and girls in their respective age ranges. Before you start, take a look around the front page and familiarise yourself with what is available. Then sit back and do what they call 'surfing'. There is lots of information here, but if you can't find what you're looking for, drop us an email via the Contact Us pages and we'll get back to you. Do you have time on your hands? Enjoyed Scouting or Guiding in your past? Want to give back to an active organisation and help provide opportunities for young people? Treasurer Team - do you have financial experience of projects? You will be working alongside our treasurer team on project-based initiatives. You will advising on spend, forecasting and budgets. Caretaker/Hall Bookings - our hall needs a little TLC and someone to manage it. Cleaning is NOT part of the job. You will need to do a little DIY, check things are working, report broken items, replenish consumables. Another part of the job could be to maintain the hall diary, open and show around for potential hires. Leaders - Our young people love being out of doors, learning anything new and exciting. Many of them achieve high scouting awards, Duke of Edinburgh and Queens Scout awards. Could you help them on their journey of discovery? One thing we can promise - you will have fun along the way too! We are looking for leaders for all sections from 6-18 years, but particulalrly for leaders for the older sections (Scouts 10-14 years and Explorers 14-18 years). Administrators - to help our District Commissioner with a heavy workload. Call Liz Pocknell now on 01483 770923 or email dc@wokingscouts.org.uk if you want to find out more.